The University of Victoria, on beautiful southern Vancouver Island, British Columbia, is an evolving “living landscape.” The existence of a university campus, a mere 50 years, is a fragment in time on a landscape continuum where people have worked, played, and lived, thereby characterizing a place-based heritage, spanning a timescale from the distant Past, 'time immemorial,' to well into the Future. Through a unique and innovative community-based art and online community mapping project, called Living Stories, our voices, photographs, artwork, and maps reveal the memories of this landscape, deepening our connection to it and cultivating a communal sense of place. A work in progress, seed money from this project is contributing to development of an open-source 'community mapping feature'. 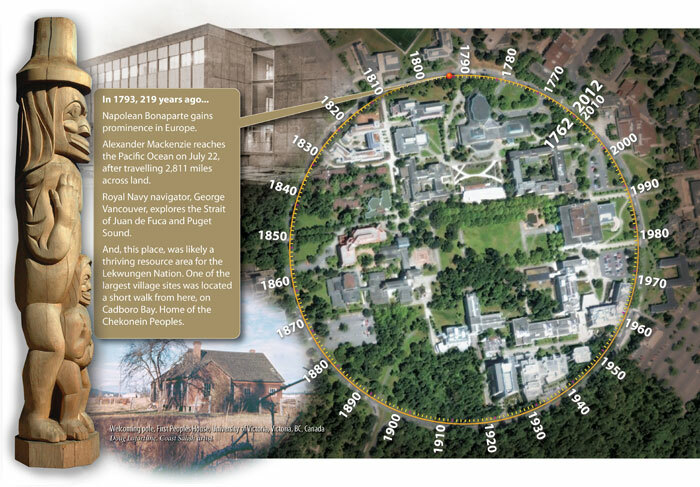 The site uses a map and timeline feature. While budget and capacity haven't allowed integration between the two, our future vision is a map that evolves and changes as the timeline is scrolled. For more information visit the site by clicking the banner or image above. See the blog which includes slideshows of events. Cam Owens, Ken Josephson and 4 students from Cameron's Geography of BC class hosted a UVic Living Stories table at the annual Vic West Corn Roast, sharing space with Jane Baigent and the Vic West Visions Map. Fresh roasted corn, apple-pear cider from trees in the park, lavendar, lemon balm and mint tea, pears, plums and pizza all free and prepared or grown right in the neighbourhood. 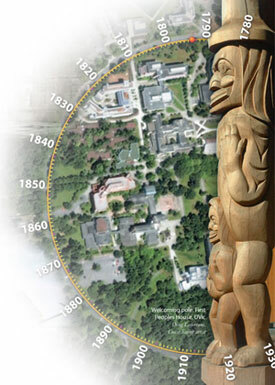 A number of interesting stories were gathered from folks who were students in the early days of the University or grew up in the area and new the landscape long before UVic was established. Here's a few photos of the day.